Listen to "Kabu Kabu" on your iOS and Android device. Kabu kabu-unregistered illegal Nigerian taxis-generally get you where you need to go. 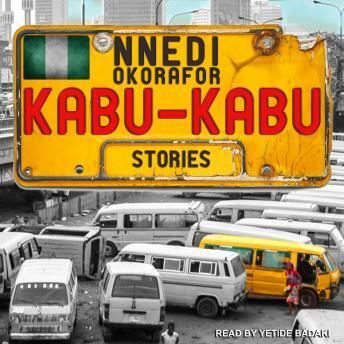 Nnedi Okorafor's Kabu Kabu, however, takes the listener to exciting, fantastic, magical, occasionally dangerous, and always imaginative locations you didn't know you needed. This debut short story collection by an award-winning author includes notable previously published material, a new novella cowritten with New York Times bestselling author Alan Dean Foster, six additional original stories, and a brief foreword by Whoopi Goldberg.